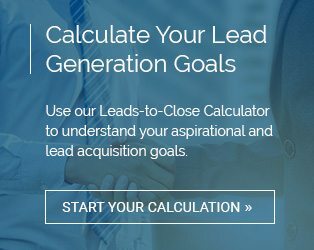 The ideal outcome of lead scoring is that sales professionals are enabled to focus on the leads who are most likely to convert. At the same time, marketing experts can emphasize delivery of content that will foster long-term lead relationships. Without lead scoring, sales pros waste time following up with leads who will never convert. Likewise, it gets harder for marketers to recognize content gaps that keep leads from converting. While most enterprises implement lead scoring using a Customer Relationship Management suite, you still need to design the basic rules to calibrate your system and produce results with it. Before you can score leads, you need to know the fundamentals about who they are. That includes both their demographics – personal details like age and location – and their psychographics, what they think about specific topics and how they make decisions. Written buyer personas are helpful here. Applying this framework to your lead scoring, someone who has qualified on all four levels is a more valuable lead than someone who has qualified on just two. Someone who has affirmed they are not qualified on one of these four levels is rejected as a lead. Every touch point with a lead influences the final decision to buy. Comprehensive lead scoring must recognize each of these touch points. Email and social media interaction, behaviors on your website, contact with your brand, and requests for information are all key touch points. It’s not always obvious which touch points have the most influence on a choice to buy. For this reason, it’s crucial to find critical conversion actions, activities most or all buyers eventually took, and give them significant weight while you analyze the importance of other touch points. A lead scoring system that goes from 1-100 balances simplicity and usefulness for most B2B firms. In the beginning, the value of specific touch points will be based on best estimates of customer behavior, but as you gather data, you can validate assumptions using analytics. Sales teams using effective lead scoring can achieve much more in a shorter time than those who rely on hunches. The personal attention reps are empowered to offer best-fit leads is perfect for relationship-driven inbound selling.